As with any other function in a Business, organisations recognise the need to establish a more robust Business Process Management (BPM) discipline. They do this to scale up their performance, or as we put it: “to enable the journey to the next generation enterprise”. BPM transforms strategy into execution – getting those good ideas into consistent execution, at pace, with certainty. 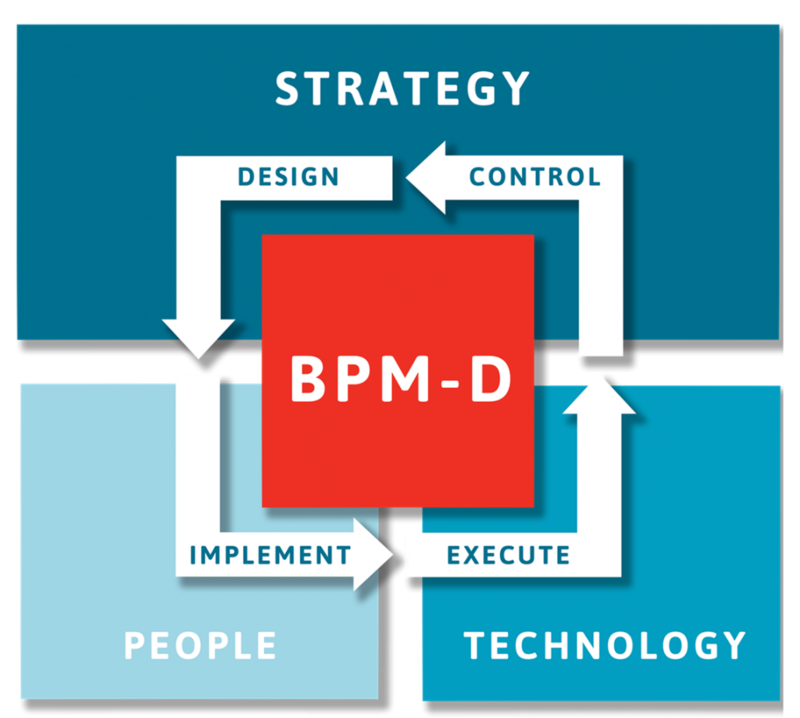 The BPM-D® Framework is a patent-pending architecture and toolset to establish the right BPM Discipline in an organisation. This sets a reference framework for the BPM discipline and is a useful guide to improving this capability regardless of the current maturity of your BPM function. Both organisations with mature BPM and those starting the journey have already benefited from this pragmatic guide. The BPM-D® Framework helps resolving current issues and preparing the way for agile innovation and growth. The BPM-D® Framework describes the “Process of Process Management”, as you should do of any major process, with reference to the ARIS framework. It details the major functions, who executes them (organisation and roles), what information they use (Data and Systems together necessary approaches, methods and tools), delivering best value in the specific business situation of an organization. 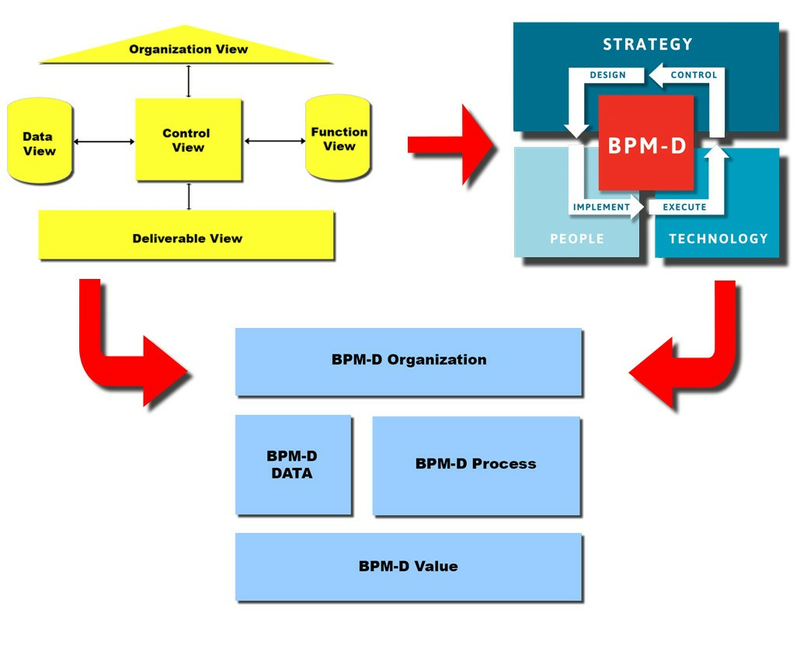 The BPM-D® Framework helps to realize the full potential of the BPM Discipline of an organisation. The 4 major components of the framework are summarised in the sections below. 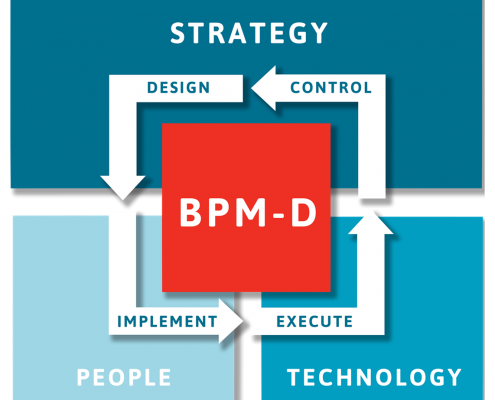 All our offerings are based on the BPM-D® Framework. They bring it alive providing best value for our clients.